If you like sake and you like cats, you'll love this. What's not to love? Set includes one 10 oz. 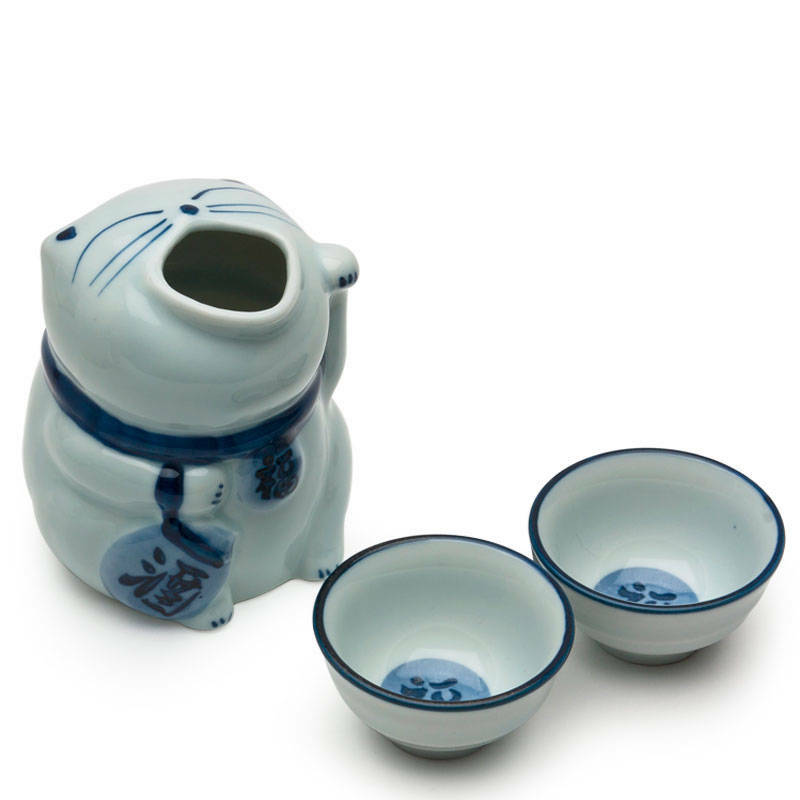 cat sake bottle and two sake cups packaged in a black gift box. Sake bottle: 3.25" diameter x 4"h; 10 oz. capacity. Sake cup: 2.5" diameter x 1.25"h; 1 oz. capacity.